Halloween is around the corner, people! Have you got your costume planned? I do! It took me a while to come up with something. I toyed with the idea of Rainbow Brite, but that would would require a wig. I've done the wig thing. No good. It's hot, uncomfortable, and it hurts. I had the biggest bumps on my head after wearing my Slash wig and hat. My hair is currently short. I had this predicament last year as well. My short hair, last year, was the perfect excuse to bleach it platinum and dress up as Link from The Legend of Zelda. Done. Now what? This year my hair is still short. It's also dark brown and bright red (or hot pink depending on the day of the week, thank you Manic Panic!). What's a girl to do? hmmm........ Be a boy! Not just any boy! MAX! 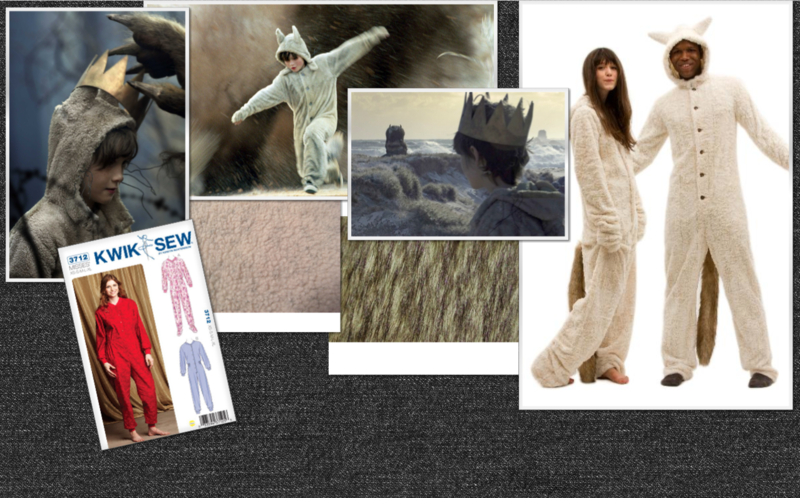 From Where The Wild Things Are!! Good thinking there, Ace. Yes, that's right. I am officially in planning of Max. I just purchased a footie pajama pattern along with 5 yards of fleece and 1 yard of faux fur. So now all I can do is go to the front door, peak out the mail slot, and wait patiently for the mailman to arrive. I'm very excited. I must admit, however, I am not a spectacular sewer. (Why is sewer spelt the same as the place where my poo goes? Ew.) Sew-er. My mom walked me through my Link costume last year. Every time she would walk away from me while I was cutting or sewing I would have a mini panic attack and whine like a 3 year old for her mommy. Well, this year it's all me. Wish me luck. I'm gonna need it. Big time. What are you dressing up as? Share with the class!